There are women who face the problem of bulky calves. Because of this “huge” problem, many women hesitate to wear skirts or dresses that do not cover their calves. Moreover, some women can not even fit in their favorite pair of skinny jeans. This is a really terrible problem that lowers self-esteem and develops a complex about appearance! If you do not want to go to radical measures and reduce your calves through surgery, we have something interesting and effective for you. Well, ladies, there is an effective method that will help you slim down your calves. Everything is very simple – you just need to add our 5 effective exercises to your workout routine! 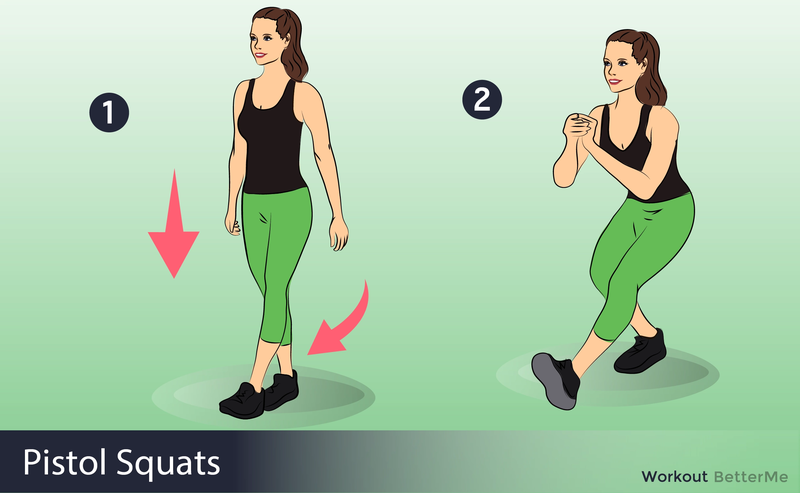 These moves are a real godsend for you, because you can get rid of your unattractive calves with ease and without risking your health. Our workout moves are designed to reduce fat on the calves while creating long and lean muscles. We recommend you do this workout 2-3 times a week for best results. In addition, this training does not take too much time, it can take as little as 20 minutes! And now it’s time to start performing our 5 effective workout moves to slim down the calves. Roll out your mat, pull on your favorite yoga pants and, of course, do not forget to grab a bottle of water. Are you ready to feel a real burn? Let’s do it!